Nobody likes to pay more than they have to, whether it’s for everyday items or a treat that they’ve saved up for. As we enter into 2019, many of us will be looking to spend the Amazon vouchers that we received for Christmas and will be hoping to find the best price possible. Searching the internet for the best price for a product can be frustrating and time-consuming, however, price matching services can help to make the process quicker and easier. 1. Does Amazon Price Match? 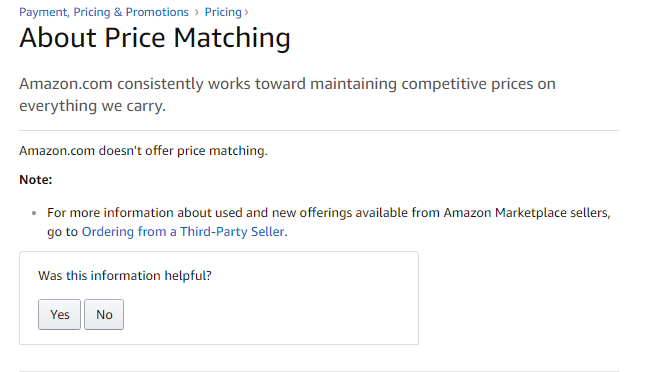 What is Amazon price match policy? In recent years, there’s been some confusion as to whether or not Amazon offers price matching. In the past, many people received Amazon price matching for a number of products by contacting Amazon’s customer service team who, at their discretion, were able to refund the difference if a customer found a lower price for a product elsewhere. In 2016, however, Amazon updated it’s policy with an announcement that price matching would only be available for the purchase of televisions. Shortly after this announcement, Amazon’s customer service team advised that only televisions would be eligible for post-purchase price adjustments. Amazon’s updated policy means that, if you purchase a television which is sold and shipped by Amazon and, then, you find a lower price elsewhere within seven days, you will be refunded the difference in price by Amazon. However, in an official statement, Amazon advised that products sold by a seller and fulfilled by Amazon would not be eligible for a price match. 2. How to Ask For an Amazon Price Adjustment? Log onto Amazon and sign into your account. Click onto ‘Your Account’ at the top of the page. Click onto ‘Your Orders’ from the pulldown menu to view a list of all of your recent purchases. Enter the link to the lower priced item and the cost of that item. Click onto ‘Confirm’ to submit your price match application. Once your application has been submitted, it will be reviewed by Amazon’s staff who will inform you as to whether you will receive a price match refund. Launch the Amazon app on your phone. Click onto ‘Your Account’ and select ‘Your Orders’ from the pulldown menu. Although the above two methods are quick and easy for occasional purchases, those who are serious about getting the best possible price can utilize a couple of handy tools which will help to keep track of price changes on Amazon. Top Price Drops – Simply enter the category you’re interested in, the type of price drop and the duration (between one and seven days) in order to view the biggest price drops during that time period. Your Price Watches – Enter the keyword or link of a product you’re interested in or click onto the local database button to search products. Click onto the desired product to select. You will now be presented with the different buying options for that product and the applicable prices. Enter your desired price into the appropriate box and then click onto ‘Start Tracking’ on the right hand side. The product will now be visible in ‘Your Price Watches’ and, CamelCamelCamel will notify you when the product reaches your desired price. CamelCamelCamel is free to use. Deals – this handy section gives you an at-a-glance look at a huge number of products whose prices have decreased recently. Track – Keepa’s tracking tool allows you to monitor any product on Amazon for price changes. Enter the product you’re interested in either by link or keyword and click onto the product. Every time the price for that item changes, Keepa will notify you by email, Twitter or RSS so you’ll be able to keep an eye out for the best price. Although some Keepa features are free to use, there is a monthly charge for price increase notifications and other advanced data features. Although you may not find the price you’re looking for every time, using Amazon price match and tools like CamelCamelCamel and Keepa can give you a good idea of the price fluctuation of a product and allow you to keep an eye out for the best price. 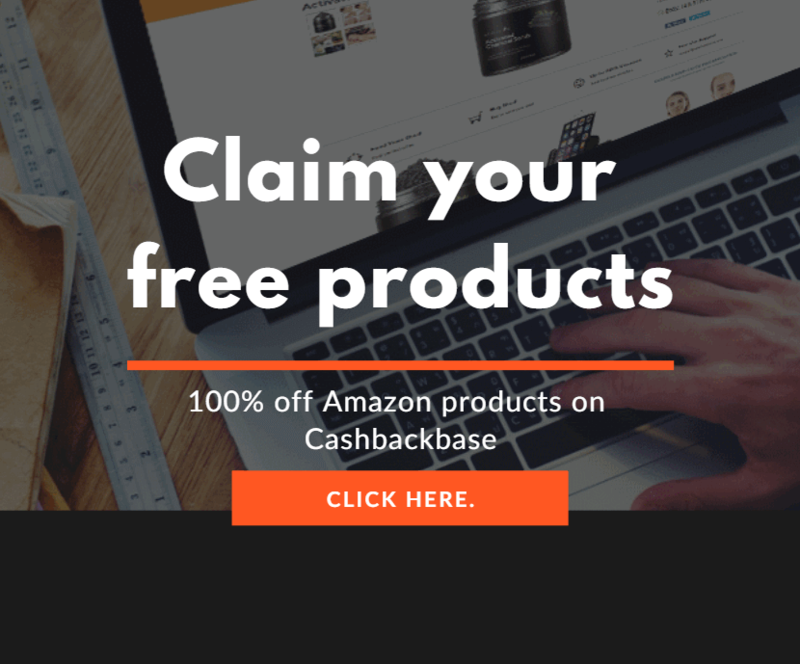 Essential for Amazon sellers, these tools are also really useful for those who just like to make sure that they’re not paying over the odds for their purchases.